Excerpt from Frané Lessac's blog about the 100 year commemoration of Midnight's service in WWI. It will be 100 years ago tomorrow, that Lieutenant Guy Haydon bravely rode his beloved mare, Midnight, over the enemy trenches in Beersheba. Horse and rider served together until sunset on 31 October, 1917. They took part is what is known as the last great cavalry charge of WW1 – ‘a defining moment in history’. This true story is immortalised in our book, Midnight – The story of a light horse. 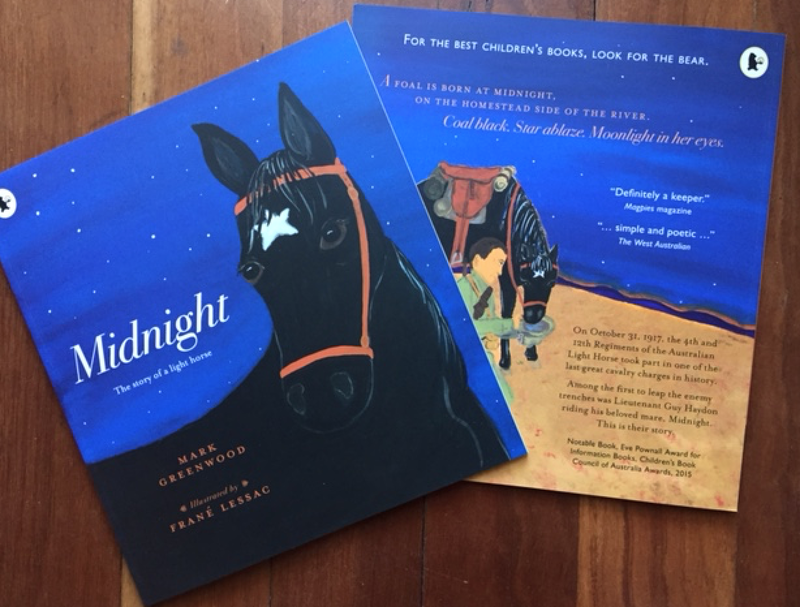 To commemorate the anniversary of this event, we returned to Midnight’s birthplace and inspiration for our book. 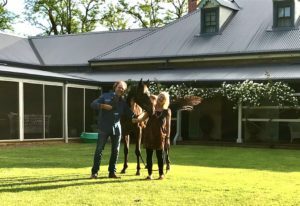 It was here, under this tree on the Haydon Horse Stud in the Upper Hunter Valley that Midnight was born. 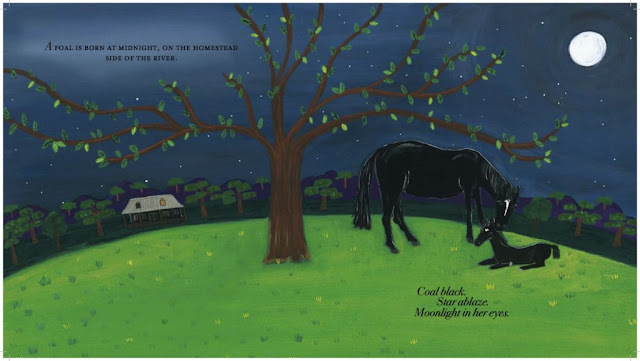 A fact not mentioned in the book is that Moonlight is Midnight’s mother. When you now read the last page alongside with the painting, be sure to grab a tissue. 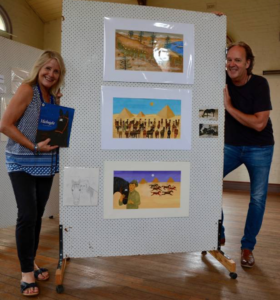 The original art from Midnight was exhibited at the RSL Hall in Murrurundi over the weekend, alongside the local school children’s artworks inspired by our book.